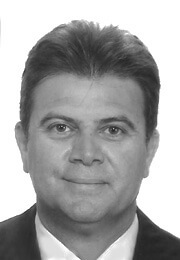 Christos Yiangou is the former Deputy Head of Mission of the Embassy of the Republic of Cyprus in Syria. He joined the Diplomatic Service of the Ministry of Foreign Affairs of Cyprus Republic in 1996, serving in the Economic and European Affairs Divisions in the said Ministry. Mr. Yiangou has served a wide variety of corporate and government clients on issues related to investment and EU market entry, trade, as well as diplomacy, political intelligence and public affairs. Christos Yiangou holds a B.A. degree in History and Economics and an M.A. degree in Political Science (International Relations) from the Rutgers, The State University of New Jersey (New Brunswick).